Klocwork helps developers create more secure and reliable software. Klocwork puts static code analysis at the desktop, identifying critical safety, reliability, and coding standards issues in front of developers' eyes - well before check in. Unlike other static code analysis tools, Klocwork integrates seamlessly into desktop IDEs and into the team's natural workflow. Mirroring how the code is developed, Klocwork prevents defects and finds vulnerabilities on-the-fly, as the code is being written. Batik is a Java-based toolkit for applications or applets that want to use images in the Scalable Vector Graphics (SVG) format for purposes such as display, generation or manipulation. and manage scripting and user events on SVG documents. The Batik distribution also contains a ready-to-use SVG browser (called Squiggle) making use of the above modules. CodeTrax can be used to ensure compliance with coding standards. The tool automates the code review process and reduces the effort and resources required. CodeTrax allows the user to benchmark the code developed in C against user defined coding standards. This product can be used any time during the project life cycle. However the best use of this product is from the start of the coding phase and while performing static analysis. Parasoft C/C++test(r) is an integrated Development Testing solution for automating a broad range of best practices proven to improve software development team productivity and software quality for C and C++. C/C++test facilitates Static analysis, Peer code review process automation, Unit testing and Runtime error detection. This provides teams a practical way to prevent, expose, and correct errors in order to ensure that their C and C++ code works as expected. For embedded and cross-platform development, C/C++test can be used in both host-based and target-based code analysis and test flows. VectorCAST/QA enables teams to implement consistent and repeatable processes for managing test activities and reporting key quality metrics. Patterson Consulting's Test Design Studio is an exciting product that serves as an integrated development environment (IDE) for Unified Functional Testing (formerly QuickTest® Professional) scripts, VBScript files, and other assets used for test automation. Extensive support for HPE ALM (Application Lifecycle Management, formerly Quality Center) assures tight integration with the tools you use. JCR (or jcodereview) is a web-based tool for performing and managing code reviews. It can be used for code in any language, but provides some extra features for Java. It can be used for reviews of any type of source code, although it has some special smarts for reviewing Java projects. It has special features to make large-scale reviews not only practical but easy and fast. JCR is intended to assist: Reviewers, Project owners, Process bigots, Architects and developers. JCR is generally targeted at larger-scale and more formal code reviews than other review tools (such as Crucible, Review Board, Rietveld and Codestriker). JCR is used to review more than half of the code. LDRAcover is a stand-alone code coverage tool that doesn’t require investment in a complete tool chain. LDRAcover addresses the rigorous structural coverage objectives of standards such as DO-178B/C (Avionics) up to and including Level A as well as other safety-critical software applications. LDRAcover lets you quickly and easily view coverage analysis results such as callgraphs, flowgraphs, and code coverage reports in an interactive easy-to-use interface with powerful filtering capabilities. 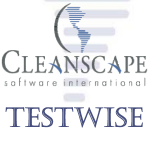 Cleanscape TestWise is a software visualization toolkit for testing, analyzing, and understanding C or C++ programs on UNIX, Linux or Windows platforms. TestWise allows developers to integrate redundant test processes into an automated test process that helps them identify and eliminate problems early in the development cycle-- reducing resource allocation while increasing software quality. TestWise is powerful software visualization and analysis toolset that automates test and maintenance of software applications for faster, better, smarter, cheaper and cleaner software development. An innovative tool built for the precise static source code analysis of Java projects. SourceMeter is a simple, command line-based QA tool for static source code analysis of Java projects. This tool makes it possible to find the weak spots of a system under development from the source code. Rule violations are based on an optimized version of the widely used PMD rule–set as well as a collection of unique rules developed specifically for source code quality management. Using the results of the analysis, the quality of the analyzed source code can be improved and developed both in the short– and long term in a directed way. All features of SourceMeter are free, except the VulnerabilityHunter and FaultHunter modules. EMMA is a fast Java code coverage tool based on bytecode instrumentation. 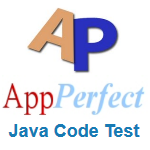 It is an open-source toolkit for measuring and reporting Java code coverage. EMMA distinguishes itself from other tools by going after a unique feature combination: support for large-scale enterprise software development while keeping individual developer's work fast and iterative. Review code, discuss changes, share knowledge, and identify defects across SVN, Git, Mercurial, CVS, and Perforce. Crucible is a collaborative code review application. It is a Web-based application primarily aimed at the enterprise, and certain features that enable peer review of a codebase may be considered enterprise social software. Crucible is particularly tailored to distributed teams, and facilitates asynchronous review and commenting on code. Crucible also integrates with popular source control tools, such as Git and Subversion.Code reviews = quality code. Review code, discuss changes, share knowledge, and identify defects with Crucible's flexible review workflow. It's code review made easy for Subversion, CVS, Perforce, and more. QualityGate is a comprehensive software quality management platform capable of calculating exact quality values from source code using a wide range of software quality metrics. It is empowered by a quality model conforming to the ISO/IEC 25010 standard and has a built-in benchmark containing analysis data from a large number of both open and closed source systems. This makes it possible to calculate objective quality attributes and estimate upcoming development costs out of the box. A compilation of testing tools suitable for developers, project planners and Testers, created by Amit Agnihotri. This compendium includes UI Prototyping/ Designing & Security Testing Tools. Some of the tools are fairly new, some you probably know and use. We would appreciate comments & suggestions. If you have a hands-on experience of any of the tools, please comment and share your experience.